PA Resources E & A Ltd is an international oil and gas company with operations and assets in nine countries. The business consists of the acquisition, extraction, and sale of oil and gas reserves, as well as exploration to find new reserves. 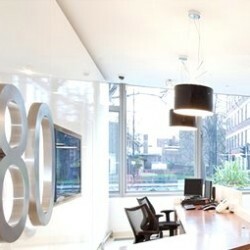 Rapport Solutions were appointed to project manage their office relocation from Waterfront in Putney to new offices at 80 Hammersmith Road, London. Under a tight budget restraint, cost controls were applied across each stage of the project development. The final design was based around the natural elements of sun, sea and fire which represented PA Resources’ culture. Fully glazed offices and sliding doors maximise natural light and space. Seismic lines applied in vinyl film to the glazed units reinforced and underpin PA Resources heritage.